The Thunder took a gamble when they traded for Paul George. But through Russell Westbrook, team and culture they were able to convince him to sign a four-year, $137 million deal. The tone of the reporting around George's free agency shifted to favor the Thunder in recent weeks. What was once considered a foregone conclusion—that the L.A. native would return home at first opportunity—leveled into a more balanced discussion. Something about George's one year with the Thunder resonated. In a way, the Thunder had been working toward this moment for a decade. Few organizations are more mindful of their culture. Every decision they make takes it into account—from the trade that brought George to Oklahoma City in the first place to the specific decor of the team's practice facility. The Thunder are a way of life: hard-working and buttoned up. It's telling that Nick Collison, who was with the franchise from its Seattle days until his retirement back in May, served as organizational statesman. That clearly meant something to George, as did a partnership with Russell Westbrook. Some in the league find Westbrook impossible—both as a person and a point guard. Others swear by the force of his play and how it propels everything around him. George clearly aligns with the latter. This deal would not exist if not for Westbrook, whose own commitment to the Thunder gave the franchise its direction after Kevin Durant's departure. The pledge of one star facilitated the other. "If y'all didn't quite get it, let me say it again," George said. "I'm here to stay." That's quite a statement—as is the fact that George committed to the Thunder on a long-term deal. The length of his contract is as striking as the agreement itself. George was a prime candidate to sign for one or two years as a means of keeping his options open and maximizing his earning potential. 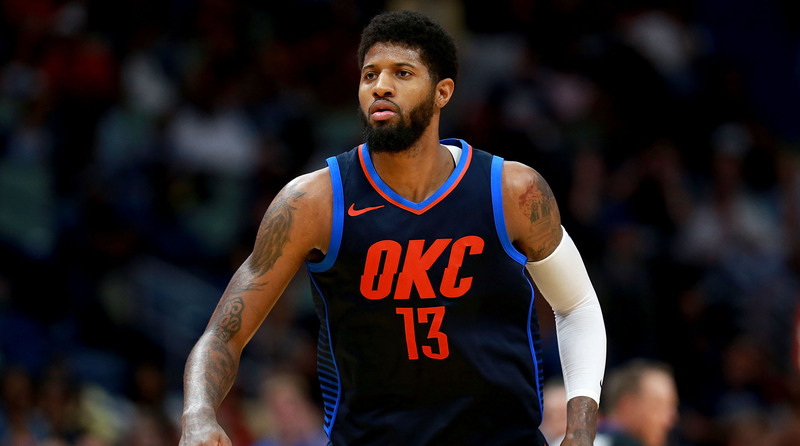 Instead, George agreed to stay in Oklahoma City for at least three years, after which he'll have the option to either return to the Thunder or test free agency in 2021. This is essentially a dream result for the Thunder, even if the bigger picture is far more complicated. After re-signing George and Jerami Grant, Oklahoma City is in line for the largest luxury tax bill in NBA history ... all to run back a roster that won 48 games last season before losing in the first round of the playoffs. Even assuming Andre Roberson's healthy return, the Thunder will likely begin next season with familiar limitations. George knows this. And to the organization's great credit, he chose to come back anyway.